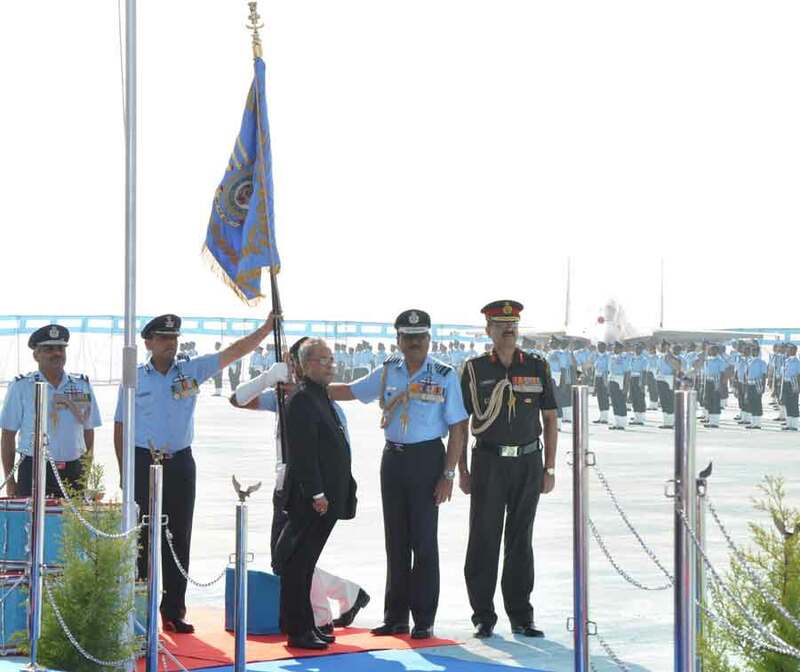 The President of India, Shri Pranab Mukherjee in an impressive Ceremonial Parade at Air Force Station Halwara presented Standards to two of the IAF’s Frontline Fighter Squadrons – 220 Squadron and 32 Squadron. The Governor of Punjab, Shri Shivraj Patil and the Chief Minister of Punjab, Shri Prakash Singh Badal, Chairman Chiefs of Staff Committee (COSC) and Chief of the Air Staff, Air Chief Marshal NAK Browne, AOC-in-C, Western Air Command, Air Marshal SS Soman, AOC-in-C South Western Air Command Air Marshal Daljit Singh AVSM VM, were present on the occasion besides a host of other serving and civil dignitaries. 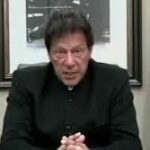 The Parade witnessed a spectacular display of fly-past primarily consisting of the aircraft flown by the units being awarded the President’s Standards. A total of 12 aircraft participated in the fly-past displaying clockwork precision.The breath taking fly-past was synchronisedwith significant events of the parade. The fly-past commenced with three Mi-17 IV helicopters in Victory formation with the lead aircraft carrying the national flag and the other two aircraft carrying the IAF flag. The fly-past was coordinated with the National Salute given by the Parade to the Honorable President of India. This was followed by three Su-30MKI aircraft flown in a Victory formation. The fly-past of the three Su-30 MKI aircraft was timed with the presentation of the President’s Standards to 220 Sqn. Three Bison aircraft in Victory formation followed the Su-30MKI aircraft while the President’s Standards were being handed over to 32 Sqn. The three Su-30MKI aircraft paid tribute by forming a Trishul in the sky over the parade ground as the uniformed personnel saluted the President’s Standards being marched out of the parade.The fly-past was followed by an impressive display of Low Level Aerobatics by a single Su-30MKI. The single aircraft display portrayed the aircraft as an extension of the pilot’s mind and body as it executed breath taking manoeuvreswhich demonstrated the capabilities of the man and the machine. Just like the flypast, the ‘Airwarrior Drill Team’ mesmerised the audience by their precise and coordinated drill movements. 220 Sqn has a rich history spanning over five decades. The Squadron was raised at Palam as 51 Auxiliary Air Force (AAF) Squadron and was equipped with Vampire aircraft. The Squadron moved to Pune in Nov 1962. 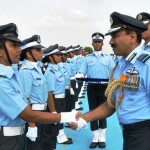 It was at Pune, on 09 January 1963, that 220 Squadron was formed. It was initially called the ‘Fighting Tigers’. The Squadron was later re-equipped with the indigenous HF 24 ‘Marut’ aircraft in April 1969 and re-located to Jodhpur in Dec 1970. The unit effectively and innovatively employed the Marut during the 1971 Indo Pak air campaigns. It was during its stay in Jodhpur that the Squadron was rechristened as ‘Desert Tigers’. After flying the Marut for 12 years, the squadron converted to the newly inducted Mig-23 BN aircraft in Jodhpur in 1981. After flying the MiG-23 BN over deserts of Rajasthan from 1981 to 1997, the Squadron moved to Air Force Station Halwara on 31 August 1997. The unit operated from this base till 2005, when it was number plated. 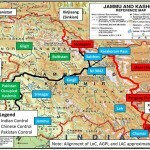 It operated from Leh and Pathankot during operation Safed Sagar in 1999. The Squadron was resurrected at its present location on 01 Sep 2011 with the state of the art SU-30 MKIs. From the Vampires to the SU-30s, the Desert Tigers have a prolific history. True to its motto ‘Shauryam Tejo Dhritih’ which translates to ‘Valour, Energy and Firmness,’ the unit has excelled in every role assigned to it over the last five decades. 32 Sqn AF, the ‘Thunderbirds’ was formed with the Mystere IV ac on 15 Oct 1963 at Air Force Station Adampur. This premier front line fighter squadron later operated the Vampire (1965) aircraft followed by the Sukhoi-7 (1969), the MiG-21 Bis (1984) and is currently operating the versatile Bison (2003). It has over the years distinguished itself in operations and peacetime with many awards and commendations. True to its motto “Maha Vegashya Drudvrat” meaning ‘fast in speed and firm in determination’, the Thunderbirds continue their assigned task of guarding the skies in the Rajasthan sector and making the Air Force Proud.